This year was a year of change, growth, and TRAVEL. We started off the year with a trip to Florida for a Tampa Wedding followed the next weekend by a Disney Cruise Wedding. I didn’t think the rest of that year could possibly live up to it’s beginning but I had no idea that Hawaii, NYC, and Paris were on the radar. If you had told me last year that all these amazing things would have transpired in a mere 365 days, there’s no way I would have believed you. My family and business were both immensely blessed this year and I’m so, so thankful. As I said, I started off the year in Florida and this was a special trip for me because it had been nearly 10 years to the day since I had been part of the Disney College Program, so getting to spend a week there between weddings and then go onto photograph my first Disney Cruise wedding was literally a dream come true. These two were so, so sweet and their rustic Florida wedding with the Spanish moss and Rachel’s breathtaking gown and rich colors was the perfect start to an amazing season. I also got to shoot with one of my faves, Faison Anne, who I met on Instagram of all places! I am so grateful for the opportunities to shoot with such fabulous second shooters! Ahhhhh!! These two and their entire magical weekend was everything I could have dreamt of and so, so, so much more. And now they have their sweet baby girl, Isla, who they just got to bring home from the NICU. These two have definitely had a whirlwind 2018 as well! April was a fun month with Emily & Ross’ Georgia Lakeside wedding and my first Biltmore session of the year. I also photographed multiple Engagement Sessions, even driving out to Max Patch outside of Asheville for my favorite Mountain session to date. Oh, man. May was a crazy month. We bought a house(! ), my sister had her first baby, Felicity! Amelia graduated from Kindergarten, I turned 30 😬 (and only had a slight meltdown over it 😉), and I photographed Chandler & Stephen’s gooooorgeous Charlotte Country Club Wedding. This month was insane but full of lots of wonderful things! 3 weddings, the end of school for Amelia and moving into our new house were the main points of this month, plus a few Engagement and Portrait sessions sprinkled in 😉. And, would you believe that all three of these Bride’s are teachers! Some of my favorite Bride’s have been teachers ❤️ And all three of these weddings were in different states – North Carolina, South Carolina, and Tennessee. What a month! This was also the month that Luke began shooting weddings with me as my main second shooter. It’s so special to be able to work this business together! July was the month of Engagement sessions with my very best friend and her fiance’ coming to Charlotte from Virginia for theirs, and Luke and I flying to NYC for a fun Central Park and Statue of Liberty Engagement session with Erica and Kevin. Also this month; Amelia turned 6(! ), we went on vacation to Myrtle Beach, and I took my first film workshop where I shot a few rolls of film and fell in love. This was the month I officially began accepting Facebook Ads clients and booked 2 within the first week! I also got to photograph my sweet cousin, Taylor, and her (super adorable) boyfriend at the Biltmore House. I also got to photograph my friend, Samantha, as she made the leap to expanding her floral business into Greenville! September was another 3 wedding month, with all of these being in different states as well! I started off the month with a gorgeous Indian wedding outside of DC, then back to South Carolina for Robin and Steven’s beautiful Clemson wedding, then back to New York for Erica and Kevin’s luxurious White Plains wedding. These three weddings were so very different from each other but all so beautiful in their uniqueness. In my personal life, Amelia started 1st grade, John Luke began part time pre-school, and Luke was still working his little heart out all over the country. I have no clue how, but I had no October weddings this year so it was a month full of personal trips. After coming back from Paris, I left the very next morning for DC for my best friends bachelorette party 🎉 then the next weekend was our college’s Homecoming (Go Liberty!) where Luke and I helped organize our alma mater’s marching band’s performance on the field (we met in our college marching band and are still mega band nerds). The next weekend was John Luke’s birthday (he’s 4, can you believe it?!) and Halloween closed out a very fun and full October. November closed out my season with a fun Star Wars meets Harry Potter Wedding in Charlotte, followed by a Lake Lure beauty that I’m still reeling over the fall colors from. I also attended my first Creative @ Heart Conference where I met so many amazing women and got to meet some of my favorite’s in the industry like Ashlyn Carter and Abby Grace. I also got to photograph some of next year’s beautiful Bride’s for their engagement sessions as well as my adorable cousin, Tessa, and her friend, Kaitlyn, for their senior portraits in West Virginia. We’ve been trying to take it slow in the early parts of December. I turned down all shooting for the month in favor of spending more time together as a family, and have been working hard towards getting my new website up for BizBabeCo coming in January. I’ve also been developing new resources for my sweet Bride’s and I’m so grateful to say that I’m just about 75% booked for 2019 😳 I’ve limited my weddings for 2019 in order to provide a more luxury experience for the Bride’s that I get to serve and I’m so excited for all the new things coming up in the new year! 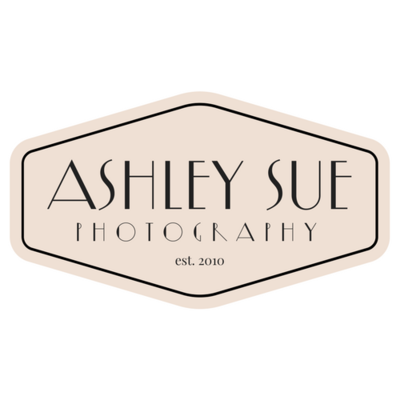 Thanks so much for reading through, and thank you, thank you all for your support in this year of transition and growth for Ashley Sue Photography. I feel so blessed to get to do what I love for so many lovely people, and I certainly wouldn’t be where I am today without all of your love and support. You guys are the real mvp’s 😘 Thank you. « You’re engaged! Now what?